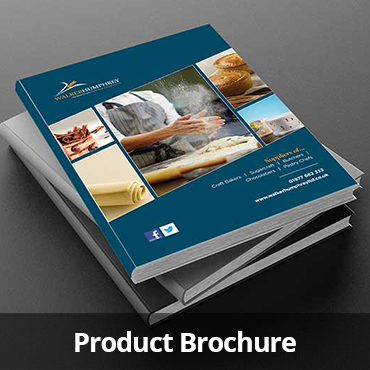 Walker Humphrey has over 50 years’ experience in the craft bakery sector as an independent, family run business. We service large and small UK businesses with our wide range of ambient, chilled and frozen products. Walker Humphrey are a great company to work with. Friendly, helpful staff,competitive prices and excellent customer service. Robert Foster & Son Ltd, Lincoln. Walker Humphrey offer a professional and friendly service and I would have no hesitation in recommending them. Ever since entering the baking trade, I have dealt with Walker Humphrey, firstly with David and, more recently, with Martin,Stewart and Kevin. That we have established an unfaltering working relationship over more than 30 years speaks for itself. I have always found them to be competitive on price, excellent on customer service, and a pleasure to do business with. We have been a Walker Humphrey customer for over three years now, ever since they started supplying the Lincolnshire area. They are a family business who are very reliable and go out of their way to offer a brilliant service, and very competitive prices. They are a pleasure to do business with. Walker Humphrey is a fantastic, customer-focused bakery supplier. If you have a problem they will always do their best to help. We have dealt with the company as long as I can remember, since the beginning I suspect. It’s been a pleasure trading with Walker Humphrey over the last 20 years. I feel that the business relationship became a friendship & thank everyone at Walker Humphrey for some memorable years in business. Can’t believe our company started trading with Walker Humphrey over 24 years ago! Thanks for all your support through out the ups and downs. We have worked with Walker Humphrey virtually from day one, and the service from that day to this has always been faultless. I am just dropping you this email to let you know that after 28 years at Cooplands I will be leaving at the end of March. I would like to take this opportunity to thank you for all your help and support over the years and the excellent service your company has given me. I wish you all the best for the future and I am sure you will continue to enjoy a good working relationship with Cooplands going forward.